Digital Diamonds - The Audio Netlabel For Advanced Electronic Music! 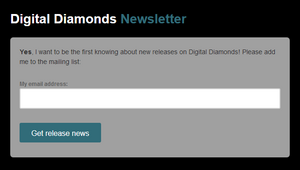 Digital Diamonds is an audio netlabel focusing on high quality electronic music. Featuring both - newcomers and well-known artists, Digital Diamonds offers Psychedelic Techno and Progressive music with soul. 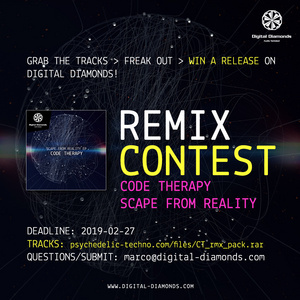 Remix Contest - "Scape From Reality"
Digital Diamonds present the official remix competition for Code Therapy’s “Scape From Reality“! Now here’s your chance to show your skills and get discovered in the process. Our approach to make electronic dance music is our passion, so that's what we're looking for in a winning remix: Passion. Surprise us! Limited Shirt Edition - "Lost Diamonds"
We are super proud to offer a limited collection of some very delicious shirts in our merchandise shop. 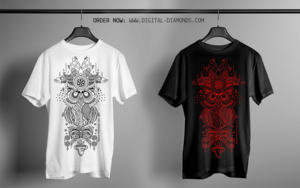 They were designed by Madrid based gfx artist diz4real exclusively for us. Lost Diamonds tells a story of pure love to music, its relation to nature and excess and our perspective of beeing humans in a superlative overloaded world. You are invited to share this too! All shirts are based on heavy 185g/m² pure cotton quality with double-stitched seems in a straight cut. Which one do you like more - "black-blood" or "white-night"? 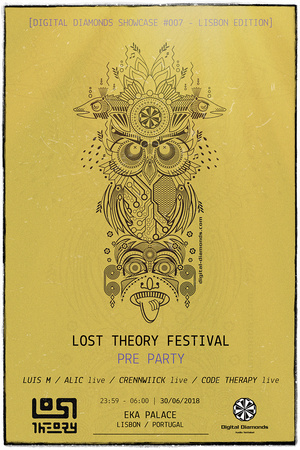 Lost Theory Festival has invited Digital Diamonds Netlabel crew to drop some proper Psychedelic Techno! We’ll have a showcase at the fest. Just two weeks before at the EKA Palace we wanna give you an appe-teaser of what you can expect from our Lisbon Diamonds AND at the same time celebrate the release of our festival VA „Lost Diamonds“. So come over and have a drink or two with us! DATE: 30 June 2018 - starting at 11:59 p.m.
2018 - Time to put a refresh on our website! Experience a very smooth mobile behaviour from now on and play all releases with the available player directly in full length as a stream. We also spent our #PODCAST series an own area. Digital Decade - The Anniversary Compilation is out! Digital Diamonds is proud to present 'Digital Decade', an ambitious release that celebrates the label's 10 years of activity in the underground scene and being run by Alic. Compiled by Ben Rama, 'Digital Decade' features 10 exceptional remixes of memorable tracks from the label's extensive back catalog, expertly crafted by Digital Diamonds artists both past and present. As one of the scene's more active proponents of 'psychedelic techno', it's no surprise that this sound is well represented here. Backed up by some progressive leaning numbers that don't shy away from melodies, this well-rounded release will appeal to fans from across the techno spectrum.s is Hackie from Mexico mixing delicius tunes for Digital Diamonds. 1 decade - 50 releases - thank you all! Once again Digital Diamonds is partycipating at Netlabel Day. This year we have a fresh release by Alic! 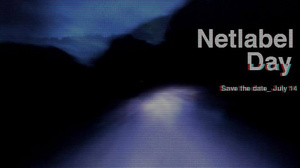 Celebrate the Netlabel Day around the world with a lot of fresh released music. Check this amazing project here! Digital Diamonds is partycipating at Netlabel Day on 14th July. Look here for more information. HYPNOTIC TECHNO - The big Digital Diamonds labelnight! We are very proud to present the biggest labelnight ever at Club Charlotte in Münster / Germany! This club was voted into Top 10 clubs worldwide by readers of this famous magazine. The Club Charlotte is equipped with a mindbreaking Funktion One soundsystem! DATE: 24 May 2015 - starting at 11 p.m.
Crennwiick - After 90ies EP is based on a very special and unique concept: It's a collaboration between great friends and excellent musicians. In tribute to Crennwiick's grandfathers and the golden decade of electronic dance music. Tunes that touch your soul and groove your body to dance. The event will be celebrated in Lisbon and streamed all over the world. DATE: 18 April 2015 - starting at 1 p.m.
We have polished and updated our newsletter so be sure to subscribe and never miss a release in the future! Look at former news in the archive. 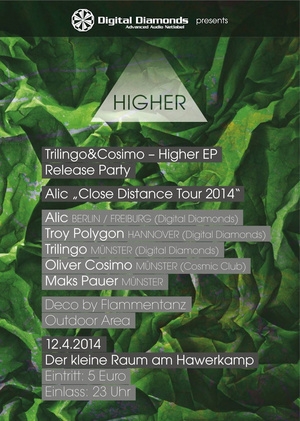 HIGHER is the name of the third pure labelparty by Digital Diamonds. Representing our label artists: Trilingo & Cosimo, Alic and Troy Polygon. Right in time to the release of the Higher EP by Trilingo & Cosimo on 10th April this party is also part of the "Close Distance Tour" by Alic. While the acts will pamper with the typical mixture of techno and psychedelic sounds, there is also a special outdoor area available on the famous Hawerkamp area in Münster. So we hope to have a wonderful night and a beautiful morning, with a lot of sun in mind and air, together with you. Don't miss - See you there! Great Feedback for "Close Distance"
Krumelur (Zenon Records, Planet B.E.N. ): "Excellent production and packed full of intricate musical ideas." Götzlich (Beauty And The Beat, Plastik Park): "New Alic album is a heavy weight monster. Rumbling and edgy synth themes reminds of extraweltish story." Jayant Luthra (Jitter, Wakyo Records): "I really like the album. The mastering is also very tight." 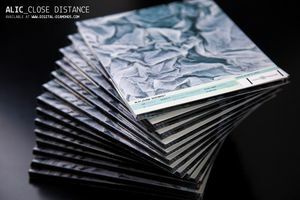 Ariel Electron (X-Dream, Nachtstrom Schallplatten): "Digital Diamonds' new album Close Distance traverses the distance of the dance-floor-delivering deep mature basslines, acid grooves, retro flavoured sequences coupled with a fresh full bodied sound. I'm digging it!" Miroslav Bako (Excizen, Rezolut, Soundmute Recordings): "Vibrant, alive. Perfect!" Alexander Synaptic (Founder and manager of Ektoplazm, Drumlore): "Close Distance, a simmering blend of intelligent psychedelic techno for mind and body... is an album that will satisfy discerning listeners in search of deep and moody electronic music at the interface between tasteful trance and techno." Kino Oko (Bigwigs, Tribal Vision): "I listened to your album many times. There are tracks I really like. Overall it's a good CD. You have something distinguish in your music. I can say it's yours. It's important these days." Nadja Lind (Klartraum, Lucidflow, Mixotic): "Rockin electro groovers here. Esp. liking the 303 flow." Robert Hundt (Radioactive Cake, GlitchyTonic): "Acidic, old-school flavoured and driving techno at its finest." Oscuro (TechlabBoking, Paganka Crew): "Best album of the year by now! 100% Psytech music with great industrial beats - amazing at the dancefloor!" DJoanna (Waldfrieden Events, Season Bookings): "Refreshing crunchy acid tunes and cleanly arranged melodies, reminds inevitably on Extrawelt. A round album which stays true to its style." Max Pollyul (Deeplimit): "Great atmosphere and idea, will play at my gigs! Big up." 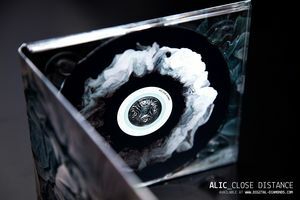 Today we are proud to present Alic's first album "Close Distance" on Digital Diamonds. 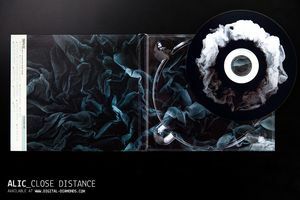 "Close Distance" is available as free digital release and as a limited CD-Edition with three exclusive bonus tracks and full artwork! 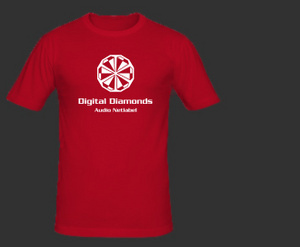 Get a Digital Diamonds shirt from our special RED collection. Be fast, this edition is only available during december! Your music is really hard to define. How would you describe your style to someone who is new in the electronic scene? Well, personally it doesn’t matter what genre my music is. It is hard to classify my music even for me as an author, and I’m familiar with electronic music scene for more than 15 years. But if you force me to describe my style I would say that it is close to styles like techno in terms of tools I use as a composer, trance in terms of the mood I create music, funk by choosing particular instruments, old-school electronics while you look at atmosphere and background strings solutions, disco in rhythm sections, rave if you look on synth lead instruments. Got it? What can you tell us about the trance and techno scenes in Poland? 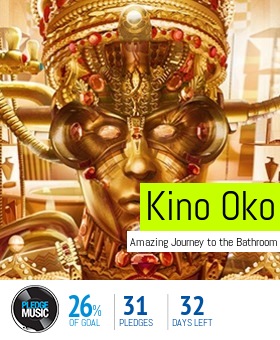 Digital Diamonds is part of "Ektoplazm's Greatest Trips"! Tracks from Alic, Trevor McGregor aka Kalumet and Kino Oko released in the past are now featured at Ektoplazm's Greatest Trips Compilation. Ektoplazm’s Greatest Trips features 50 tracks and more than 6 hours of some of the finest music distributed through the Ektoplazm free music portal from 2008 to 2012. Compiled by Basilisk, Ektoplazm’s founder, this retrospective project showcases the immense diversity and creative vitality of the global psychedelic trance, techno, and downtempo movements. 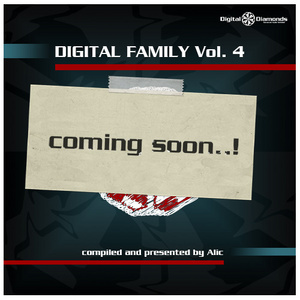 Part 4 of our well established compilation series "Digital Family" is in the pipeline! Alic compiled nearly a dozen of very carefully selected Techno, Trance and Psychedelic Techno tracks for you. So stay cool for a while till this baby is released. We strongly recommend our new and latest release by portuguese artist Crennwiick! It's called Untitry EP and features four electrotracks with warbling basslines and creamy atmosphere. Feel free to leave your comment there. All photos by zpunktb.com. Thanks! Seit über 5 Jahren steht DIGITAL DIAMONDS für kompromisslos-guten, kostenlosen Sound. 400.000 Downloads und eine internationale Fanbase beweisen, dass das von Acts wie MIDIMILIZ oder THE DELTA geprägte Underground-Genre Psychedelic-Techno mehr als lebendig ist. Ob Dancefloor-Techno-Bomben, treibende, progressive Beats oder emotionale, melodische Groover, die Liebe zur Musik und ihrer Seele ist bei Digital Diamonds stets spürbar und die Message klar: BOARDING NOW! Alic (Freiburg) sind unter anderem bekannt durch ihre Releases auf Horns & Hoofs, Nachtstrom Schallplatten oder Boshke Beats. Seit 10 Jahren ist Alic Garant für superdeepe bis pulsierend, treibende Sounds, wobei dicke Basslines nie zu kurz kommen. Troy Polygon (Hannover) sucht in seinen Sets stets den Kontrast. Von zart bis hart. Unbeeindruckt von Trends und Hypes liegt sein Fokus stets auf der Crowd und intensiver Atmosphäre im Club. Egal ob schiebender, dunkler Techno oder schöne, driftende Melodien, bei ihm fällt es schwer still zu stehen. El Frecho aka Frechbax (Freiburg) ist das Minimal-Elektro-Alias von Sebastian Auer. Mit größtem Augenmerk auf den Spaß heizt er dem Publikum mit einer Fusion aus Techno und Psychedelic-Elementen ein. Neben dem mitreissenden Sound wird auch optisch einiges geboten sein. Carlsson sorgt für die passende Live-Untermalung der Sounds sowie eine Video- und Diainstallation. Farbflash garantiert. Mux (Laterne Musik/Dubwars) spielt ab 21:00 Uhr im Data den passenden Sound um bei dem kalten Winterwetter warme Füsse zu bekommen.